Some updates and fun stuff for you guys. 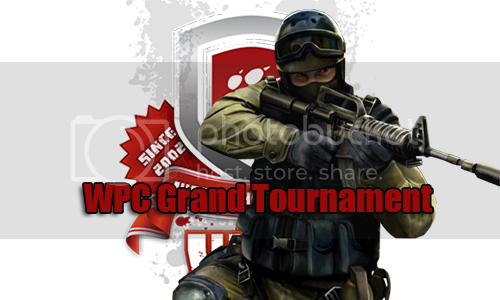 Last weekend was the first round of WPC's 1st Grand Tournament. Little shaky to start but Sunday was an absolute blast with TS completely rammed. Not had a turn out like that in ages. The results are in! you will be playing in the SemiFinals! Commiserations to the other teams, you did well and were good sports, hope to see you in the next Tournament. Just in case you were not aware there has been a small change to the rules. Since not everyone has CSS (A shocker that one) it is now any FPS as long as both teams agree to it. With the departure of DJ_Woody and Ryukii team Double Trouble is now Mitch & MikeAmerica, who won their first round, well done guys. Well done Mike as he only just got the game. Want to watch the matches? Well you can! Download them here. Drop them in your CSS folder and when on the main menu press SHIFT+F2 and a box will open. Press open and select your file. Wayhey! Congratulations go to the following Zombie smashers. You earnt yourself a shiny badge. Wear it with pride! Next week is Killing Floor week!